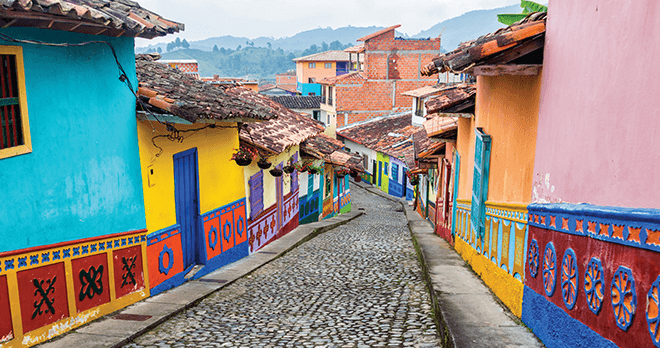 Essential Colombia | Fully customized itineraries to Europe, Central and South America. Your tour, your way. Colombia is becoming one of the most interesting destinations in Latin America, home to seven UNESCO World Heritage Sites. 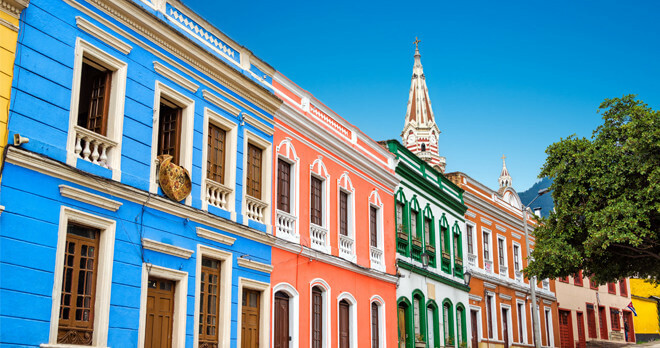 From the historical La Candelaria district of central Bogotá, to the walled city of Cartagena, this 10-day journey will give you a taste of modern cities, glittering Caribbean beaches, and coffee plantations for an excellent combination of culture and history. Pricing as indicated valid November 12, 2018, based on two passengers travelling together. Subject to availability at time of booking. For tourist entry into Colombia, taxes are paid locally upon entry before proceeding to Immigration Control. Exceptions apply. Yellow Fever vaccination certificate is required for entry from other Latin America countries. TORONTO – BOGOTÁ Fly from Toronto to Bogotá. Welcome by local representative and transfer to your hotel. BOGOTÁ Enjoy breakfast at your hotel. This morning, your guide will pick you up from your hotel and begin a tour of the city of Bogotá. 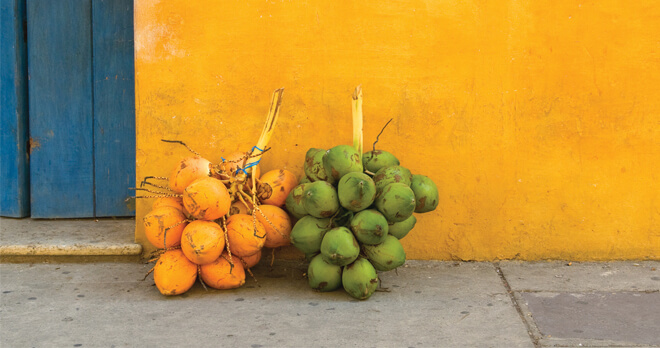 Visit the local market to taste and learn about the unique variety of fruits and flavours Colombia has to offer. Continue on to visit the Fernando Botero Museum. Take a cable car to the top of Monserrate for wonderful views of the city. After lunch on your own, walk through the historic city center, known as La Candelaria to see the beautifully preserved colonial buildings and steep stone paved streets. Return to your hotel and enjoy the rest of your day at leisure to explore on your own..
BOGOTÁ After breakfast, enjoy your day at leisure. 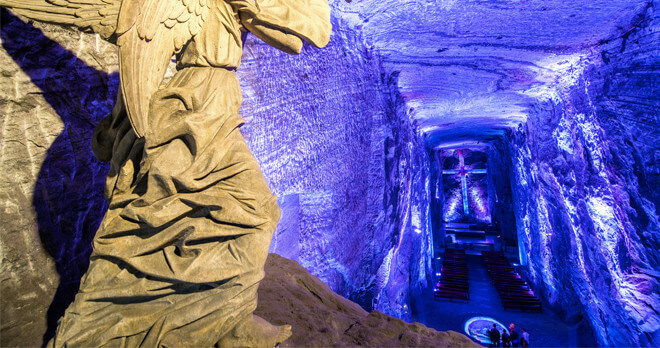 We recommend an optional tour of the spectacular Zipaquirá Salt Cathedral, one of the most notable achievements of Colombian architecture. 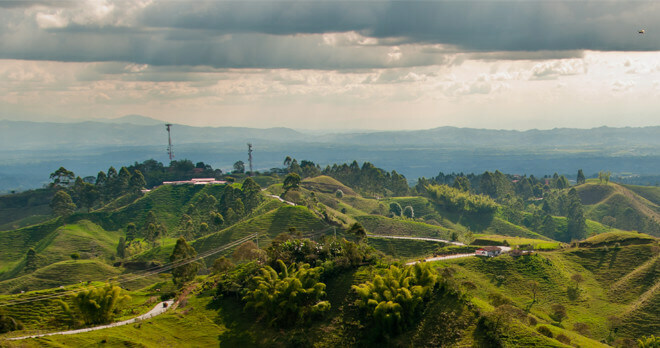 BOGOTÁ – PEREIRA Enjoy breakfast, then transfer to Bogotá airport to board your flight to Pereira, located in the heart of the Coffee Gold Triangle, giving you an opportunity to explore the lush coffee plantations of the region. Welcome by our local representative and transfer to your hotel. 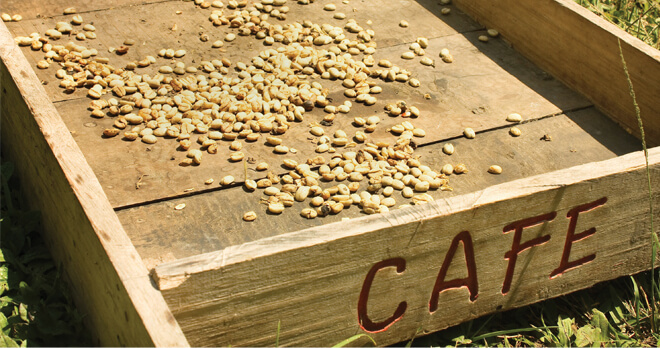 PEREIRA After breakfast, travel to a typical farm to experience how coffee farm activities unfold. Wear coffee workers clothing and live through the experiences on a coffee farm; see how they gather, peel, thrash, toast and mill the coffee beans the traditional way. Enjoy the rest of your day at leisure. PEREIRA Enjoy breakfast at your hotel. Today, take your day at leisure. Many optional tours are available including a tour of Salento and Corcora Valley to see unique Bahareque architecture and visit Cocora National Park to see the world’s tallest Palm, the wax palm. On this optional tour, continue to the Botanical Gardens and Butterfly Park to experience an abundance of flora and fauna, especially varieties of hummingbirds and unique butterfly species. PEREIRA – CARTAGENA After an early breakfast, transfer to the airport for your flight to Cartagena, the highlight of Colombia. Designated a UNESCO World Heritage site, the walled city has a wealth of character that will capture your senses; from its well preserved colonial architecture, romantic atmosphere, vibrant flora, balmy temperature, excellent cuisine and amazing sunsets over the Caribbean to its warm and inviting people. Welcome by our local representative, transfer to hotel. CARTAGENA After breakfast at your hotel, enjoy your morning at leisure. In the afternoon, tour the most important monuments of the city. Visit La Popa, built at the beginning of the 17th-century on the hill of the same name for a magnificent view of the city and bay. Continue on to San Felipe’s Fort, visit San Pedro’s Church and Convent. CARTAGENA After breakfast, transfer to the beautiful Islas del Rosario archipelago located an hour and half south of the Bay of Cartagena. Populated with a great variety of reef fauna, white sandy beaches and beautiful crystal-clear waters make the scenery truly spectacular. Take the opportunity to swim, snorkel or relax in a hammock. Enjoy lunch at a local restaurant. Return to your hotel and overnight. 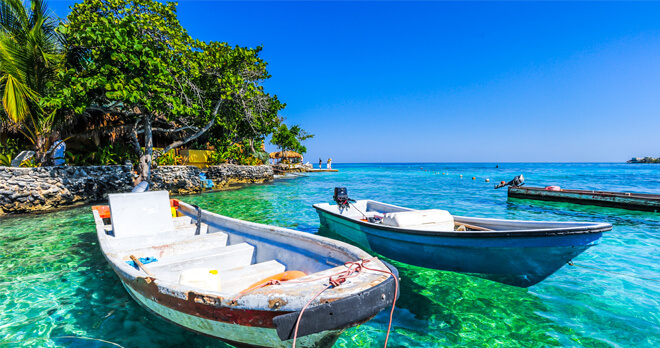 CARTAGENA – BOGOTÁ – TORONTO After breakfast, transfer to the airport to board your flight to Bogotá and your connecting flight to Toronto. The airport tax is the amount charged to passengers for the use of airport facilities – this is charged upon each entry and exit. The current cost is $35 USD ($ 61,000 COP) each way and changes every year. It is mandatory for the passenger to pay the value when using both regular and informal commercial air transport. Ensure you receive the appropriate stamp in your passport at the airport based on the reason for your travel – Tourist vs. Business stamp – or you may be required to pay additional lodging taxes. Gateways International nor our local representatives will be held responsible for incorrect or missing stamps. Please note that in Colombia, departure tax must be paid by all international departures, both Colombian and foreigners living in Colombia; this applies additionally for foreign tourists visiting or in transit when their stay exceeds 60 days in the territory of Colombia. There are there can be situations when the entry and exit taxes are included in your ticket.